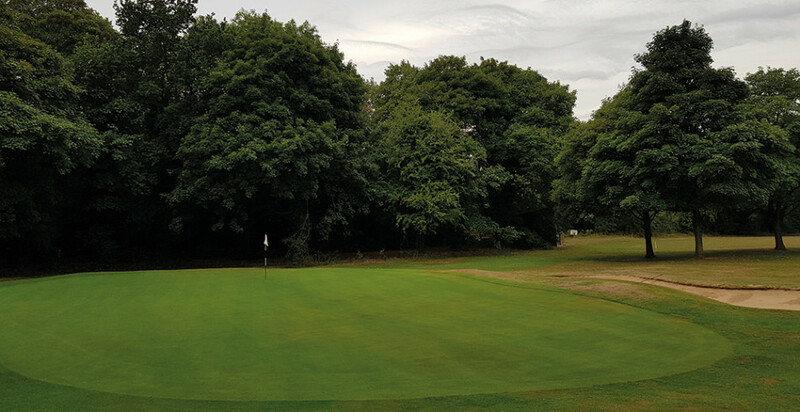 A year ago, Willesley Park Golf Club sought a course shake-up, so it made a familiar greenkeeper acting head, and he began reformatting its treelines, roughs and paths. 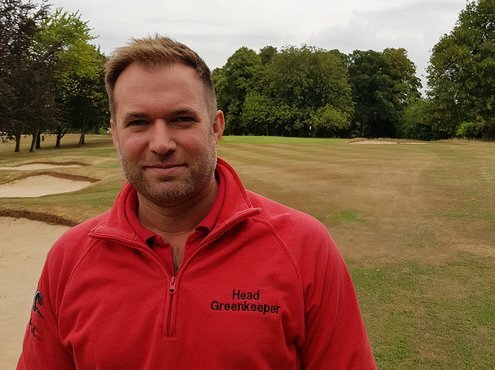 Now permanent Head Greenkeeper Frazer Harrison (40) has, during his first few months, been as much focused on major tree work as daily maintenance. In such a situation, the club has wisely maintained strong staff numbers for an 18-hole course. Including Frazer, there are seven of them, and two of these deputise when he's administrating. The land, bordered by super-luxury houses on a main road into Ashby-de-la-Zouch, is ancient estate land, which is the reason it needs a high degree of broader-spectrum maintenance. Its flora is huge and ancient. There is an attractive, and ecologically promising, Sweet Chestnut tree which Frazer estimates spans several metres in diameter. Grasslands bordering on the roughs and fringes are wild and interesting, which acts as a tool for altering course playability. Frazer said: "That is how the course used to look years ago, from when James Braid designed it. Some members like it; some don't. One of the biggest benefits, though, is something we all have to think about these days, which is ecology. More grassland is good for nature." "BIGGA's local chairman is visiting soon to discuss ecological issues, including that cherry tree. 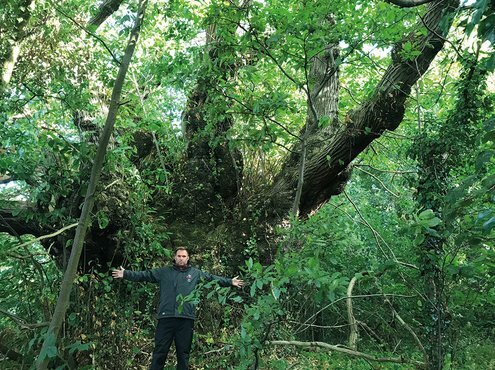 He wants to have a look at this huge tree as a location for projects which might increase the prevalence of wildlife around the course." "We have some muntjacs which spend their time by a pond just beside the course, and would like to encourage more animals to make their homes here." 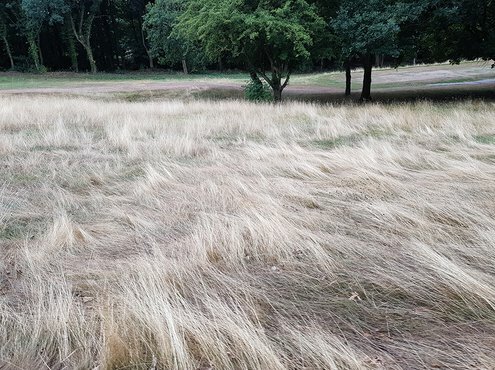 "Because the woodland areas running over the old Willesley Hall Estate are so vast, it would be a shame to continue to leave them untapped, so we'd like to take advice on that too." Frazer has overseen a plan to grow these grassy areas, which appear dominated by a long variety of meadow-grass, to control out-of-bounds borders and because they're great aesthetically. This has reduced fuel and labour costs from cutting. This is all bound up by some clever initial 1920s design work by Braid, who took what was an unusually long and narrow site and designed a figure-of-eight pattern to make the most of the space. That said, it is a large course. 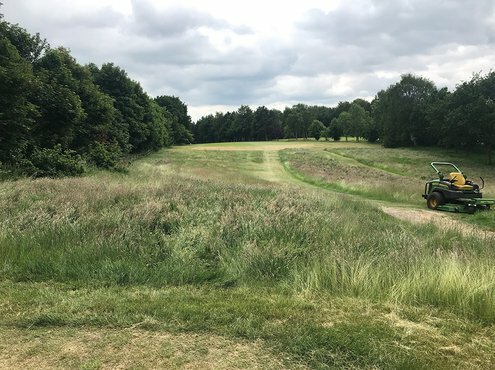 Those up-and-down parkland holes run through around 210 acres of undulating woodland, which is one reason the course's paths have to be in good condition. Frazer arranged for slate rubble to be laid across around a kilometre of pathways, which has also helped the staff to traverse the course more quickly; important when your clubhouse is two miles, as the crow flies, from a couple of your tees and greens. Not long after this design, of course, another war broke out. During this time, the fairways were, instead, used as vegetable patches for the war effort. After this, the course was expanded a little to its current length. 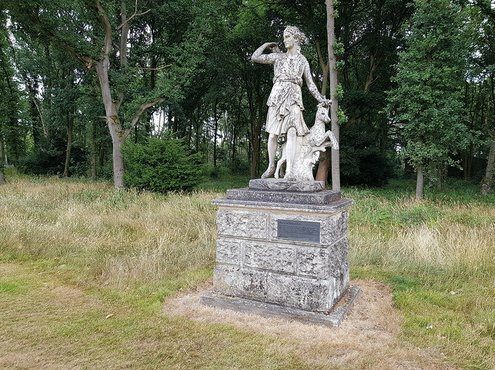 There had stood, alongside the fourth fairway, a statue of hunting goddess Diana with a trophy deer, which was destroyed in 1981. The club recommissioned the statue, and it stands again next to the hole which currently makes scorecard regulation difficult - the fourth is temporarily a par-three instead of a par-four, whilst the club does some work on the treeline. Usually, however, it is a 6,120-yard par-70 parkland course, typified by tricky drives and more welcoming approaches. It features a double green at its heart. This all ties in with its location: it is part of 'The National Forest', which is a 200-square-mile section of central England parkland maintained by The National Forest Company, a not-for-profit organisation. The aim of the project, started in 1995, is to increase the area's woodlands, and landowners around Willesley have agreed to 'alter their land use'. It is intended to be a truly new forest, linking the ancient Needwood and Charnwood forests, and is one to keep an eye on, as the government announced plans this year to create an even larger one. This would be a 'Northern Forest', made up of 50 million trees tracking the M62 corridor the entire width of the country from Liverpool to Hull. 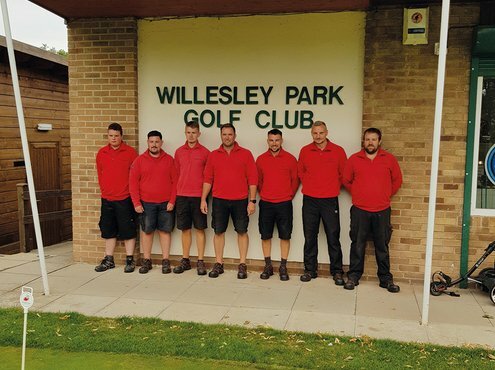 This is Frazer's second stint at Willesley, having also worked at Burton-upon-Trent Golf Club and Kedleston Park Golf Club, a nearby Open Qualifying venue. Since taking up the position, he has been mindful of the clubs costs by driving down rates for equipment and materials, forging new relationships with suppliers; one of these being ALS. 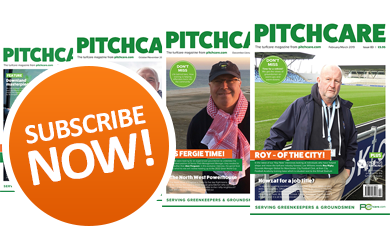 "The club had seemingly been using a sole-supplier and, since I started, I've been open to shopping around looking for the best service and prices." "I use ALS for most things, and sometimes a couple of other suppliers too. They are not a sole-supplier, but I haven't had a reason yet to use anyone else very often." 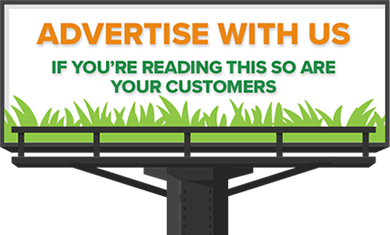 "I have a very good working relationship with Chris Knowles and I've had good results from the products I've purchased through him." Copt Heath's Course Manager, Jeremy Pilcher, and Kedleston Park's, David Leatherman, have been major influences on my career and progression. "That's going as well as it could have so far - although, he only started a week ago! It's great that young people are getting training whilst they work, though." 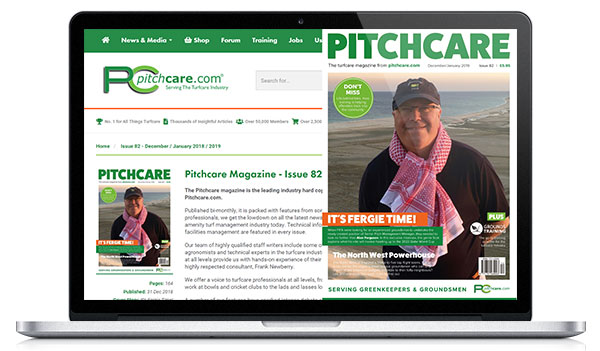 "When I started, they were very few, if any, properly qualified staff members on golf courses. The training has got so much better and more widespread in recent years." "I've got my Level 3 Diploma, and there are increasingly people out there with Level 4 qualifications and HNDs. The workforce is far more skilled than it used to be." "People are learning more about the job. And, when the golf committees see that people know what they're doing, they are more willing to leave those people to do the job, rather than trying to tell them how to do it." "The greens are clay push-ups. The ground is predominantly clay-based. The drainage is quite good, however, as the lake at the bottom of the course, where we get our water from, also takes water." The club maintains a fleet of John Deere machinery: "It's a five-year deal, which is coming to an end within the year, and we're open to offers." "The greens machines are great and the utility vehicles are very good. We are considering other suppliers, and we have several different demo machines at the moment to try out." "At my old club, we had a Toro mower for ten years, and only had to change one bearing. Whoever can show the best quality will impress us the most. We are looking for something that lasts." The club uses agronomist David Rhodes (in addition to the help he's given by Chris at ALS), who visits once per year: "He's helped me get to where I am, and it's a good working relationship." "He came in three weeks ago and took some samples for his own records. Chris also took some at the start of the season, which are the ones we use to plan feeding." "Chris produced a fertiliser programme, which I then tweaked, and my agronomist asked me what I planned to put on. It's been an effort between the three of us, but I do most of the decision-making myself, and David seemed happy with what I'd come up with." "It's very high in iron and phosphorous at the moment, so I haven't laid any phosphorous this year. There has been a lot of high-nitrogen liquid feed going down in past years." "I managed to take the budget for fertilisers down by nearly 70%, compared with previous years' spends. We've saved a considerable amount of money and the pH levels will be a lot better for it too." There are sprinkler heads on all greens, but only on five of the tees, and two on the approaches. Frazer has recently purchased a Davis Vantage Pro weather station which has a solar sensor to enable him to measure evapotranspiration. Amongst his wishes for the future of the course, Frazer seemed to be most urgently after an upgrade to the older parts of the irrigation system. As well as the natural drainage properties and the helpful lake, there is a combination of old farming drainage and herringbones on each green. The bunkers are drained too. 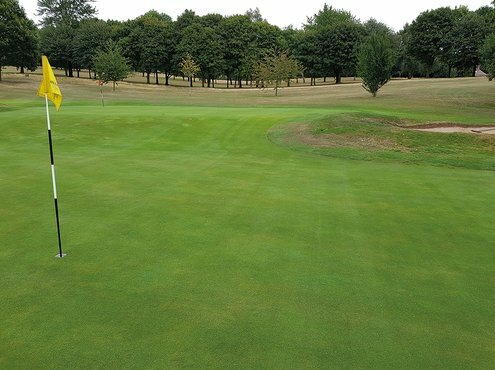 Not only this, but the course lies on a valley edge in a typical 'weather split' area, around which rain fronts tend to manoeuvre, meaning the course misses out on much of the Midlands' rain and snow. Frazer doesn't, however, feel the course has suffered more than the average course during this summer's droughts. The greens were vivid, especially compared with other courses' fairways. 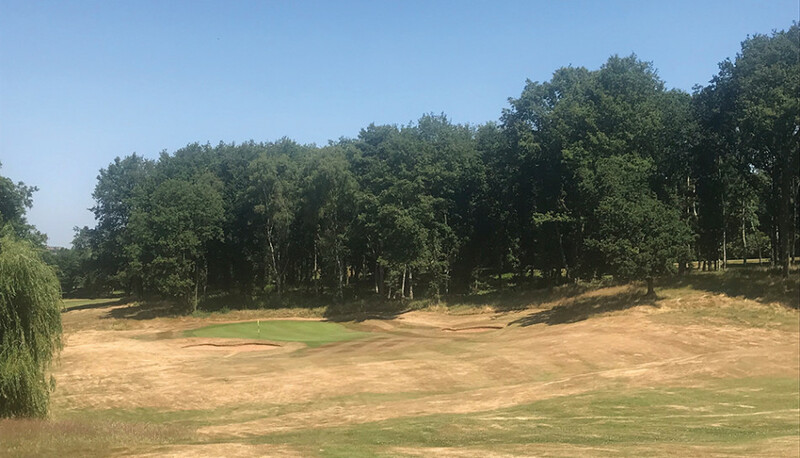 There used to be some issues with airflow around some of the greens, due to the mass of trees, but the team has done a lot of tree work recently. All that remains from this now is some weed overgrowth, which Frazer is currently trying to tackle through the use of flails and selective sprays: "It's a slow process," he said. Normal maintenance begins at 6.00am with a team meeting. The deputies are assigned groups based upon what the course requires. Then, Frazer either manages this directly - again, focusing so far on tree work - or manages the umbrella processes innate in projects of the size in which the club has recently been involved. Greens are cut daily, aprons and tees every second day, and fairways at least twice per week: "It's usually a grass factory, so that's a big job for us." "We topdress through the season with kiln-dried sand and during maintenance periods with 70/30 mix topdressing, but we haven't done that much this year because of the conditions, but we usually do it three times per year." "That has worked because, in our previous report, it was revealed that our top layer was somewhere right up around 90% sand content. If I could have any more equipment, my first choice would probably be a quality topdresser." "The topdressing also seems to result in good grass cultivars and density, because there have been dry times in the past season when we've actually had to slow the greens down intentionally." "They are consistently above 9.5 on the stimpmeter, and were threatening to ramp up beyond 11, which would be too intense for the size of our greens." The club have recently had a Toro ProCore on demo and Frazer was more than impressed. The club also has a Wiedenmann Terra Spike and a John Deere AerCore. 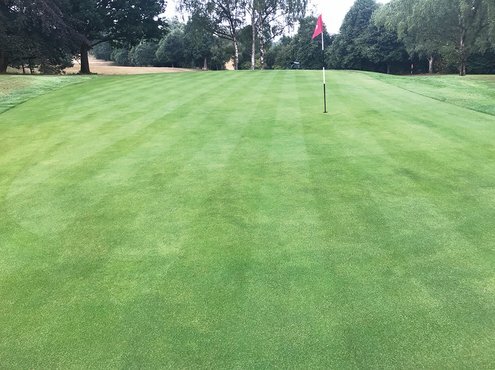 "During my first season here, the greens surprisingly held a bit of water, so the first thing I did was to hollow tine to four inches and topdress with the 70/30 mix." "I did that in August last year, and a lot of scarification in March, and that has all worked to increase the drainage. They weren't soft and we got rid of a lot of thatch." "The greens also had a compaction pan below the top sandy layer. So, I used a Terra Spike about four times through the winter at nine inches to break that up. That did the job last year, so we'll do the same this winter." I asked him whether, overall, Frazer had enjoyed his first year as a head greenkeeper: "I have. It's been interesting. I like a challenge and erm… well, it's been a challenge," he laughed.